Objective: This study investigated differences in catecholamine levels in individuals with and without sleep bruxism. Methods: A search in the databases PubMed, Cochrane Library, Scopus, Web of Science, LILACS, IADR abstracts, grey literature and in reference lists of included studies was conducted. The search was performed by two researchers, supervised by a librarian. There were no filters and no limits to language or year of publication. Eligibility was based on PECO criteria; which means the studies about children and adults (P) with (E) and without bruxism (C) in which the catecholamine levels (O) in any body fluids, were investigated. The studies were qualitatively assessed through a checklist for evaluating their risk of bias. Data were extracted from all included studies. Results: Initially, 269 articles were identified. After removing duplicates, 175 were read (title/abstract), and of these, nine were retrieved to be read in full. 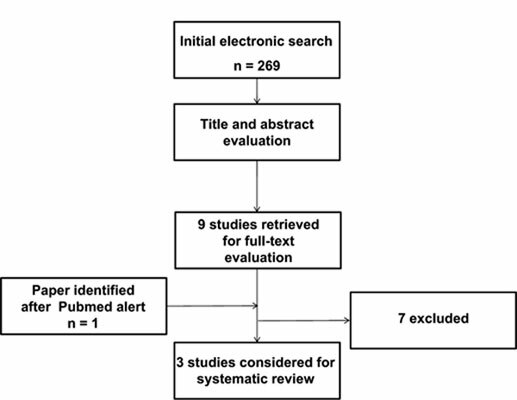 One more article was provided by Pubmed alert, but it was excluded. From those nine articles, three studies with chromatographic analysis of catecholamine in urine were included in the qualitative synthesis. Studies have shown an increased level of catecholamine (epinephrine, norepinephrine, and dopamine) in the urine of individuals with sleep bruxism compared with non-bruxers. However, assessment showed flaws in some methodological aspects such as matching and blinding. Conclusion: There are some methodological flaws in the included studies, thus there is little scientific evidence that adults and children with sleep bruxism have higher catecholamine levels in the urine compared to those without bruxism. Catecholamines, catecholamines receptors, sleep bruxism, sleep related bruxism, nocturnal bruxism, chromatographic analysis of catecholamine.